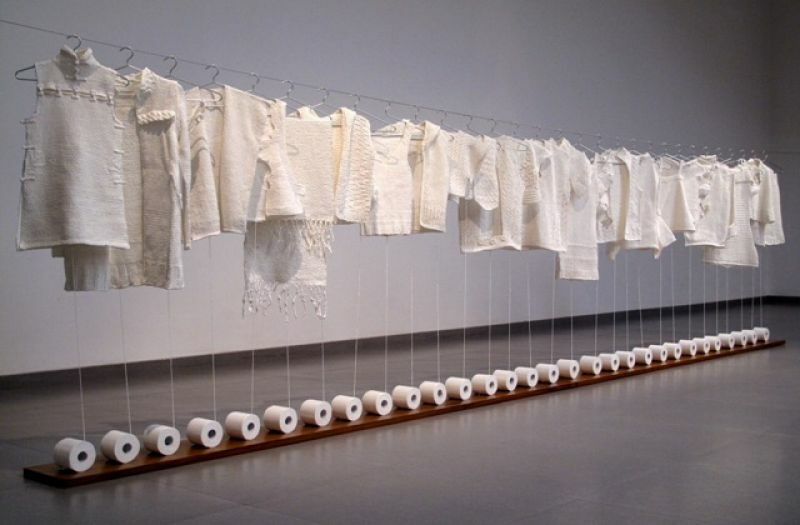 I'm interested in this Toilet Paper Fashion by Wang Lei. Please advise availability and price. Thank you. Wang Lei was born in 1980 in Henan, China, and is one of the most prominent contemporary artists in China. Wang Lei has an eye for intimate details and subtleties. He brings an art piece to life by absorbing all historical and social factors as a subtle culture within layers of time. We see this not only in the context of his artwork but also in the process of designing and creating. Wang Lei’s artworks succeed in its contemporary agenda to communicate with a vast range of audiences from different backgrounds. Wang Lei was born in 1980 in Henan, China, and is one of the most prominent contemporary artists in China. He gained an MA in Arts from the Department of Experimental Art of Central Academy of Fine Arts and currently lives in Beijing and Luoyang. Wang Lei has an eye for intimate details and subtleties. He brings an art piece to life by absorbing all historical and social factors as a subtle culture within layers of time. We see this not only in the context of his artwork but also in the process of designing and creating. Wang Lei’s artworks succeed in its contemporary agenda to communicate with a vast range of audiences from different backgrounds. This series is based on traditional clothes and costumes during the Ming Dynasty. The routine of donning the uniform was not solely for fashion, but has always been a marker of social status. 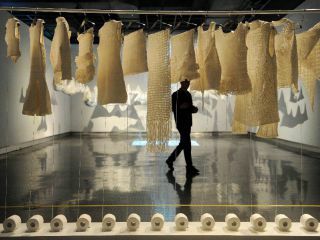 Wang Lei challenges the costume’s subject matter of taste and class by casting it in a completely different framework. Wang Lei employs materials that have always been defined as non-wearable. 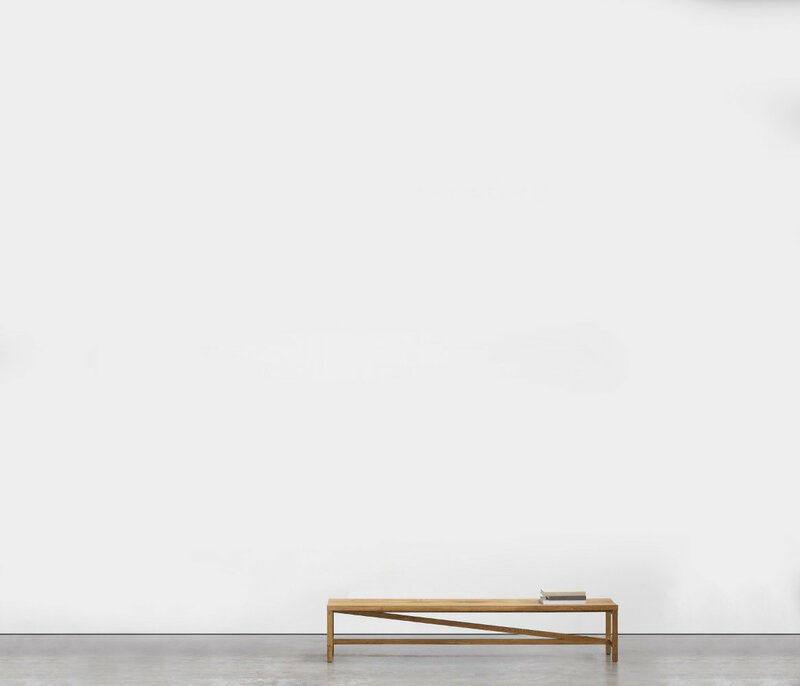 Yet, he chooses materials which have meaning that are open to interpretation, based on how people perceive its use. This leads everyone’s thoughts to a paradox, and paradoxes are deeply entangled within our contemporary lifestyles. The duplicities and multiplicities in meaning exist to inform our improvement, growth, comfort and enlightenment. It is within these paradoxes that we seek individualism and attempt to create a new identity. 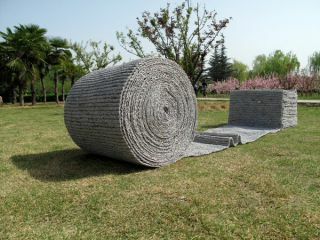 Similarly, in Wang Lei’s art, he weaves paradoxes into the creation of his traditional details and delicate craftwork. 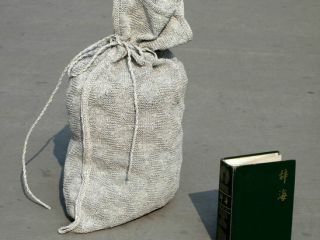 The devotional application of his knitting method seemingly disregards the conceptual and reckless approach of his extrapolated artistic inspiration. It is within this dialogue that his artworks may be discussed in a pro-conceptual manner. For example, in his Ming Dynasty Customs series, Wang Lei reproduces one of the famous designs with a completely new material – paper from a Chinese-English dictionary. He tediously knits the paper in an accurate manner such that all the textures and patterns follow the right traditional process. He dedicates himself to this process of creation as he believes that such commitment will raise the concept of his art to a sacred position that will be deemed worthy. Wang Lei questions the quality of everyone’s approach to the matter of creating a new social identity in this innocuous series of toilet paper cloths. 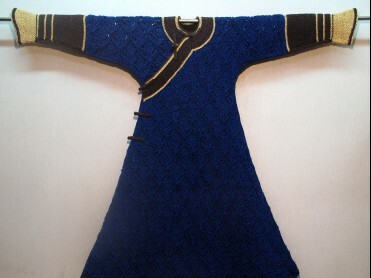 The process of making the artwork with his own hands and the dedication he puts in to knit each one of the cloths accurately, demonstrates how he admires the traditional ways of reproducing time-consuming handmade traditions in different designs, forms, patterns and styles in order to create profound visual conversation. 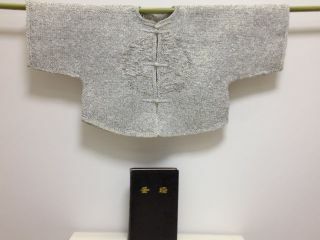 The primary feeling that is evoked when one views Wang Lei’s artworks is the sanctity contained in a delicate piece of handicraft work. As we reflect on this feeling of warmth, it is perhaps a candid recognition of the quality of choices and the background of our customs that define us as a responsible member of our society.